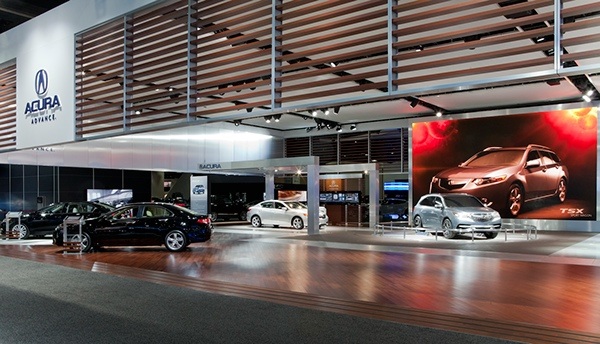 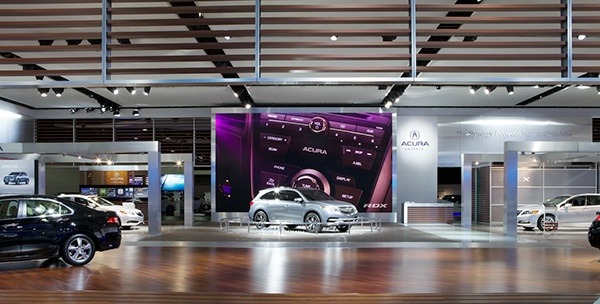 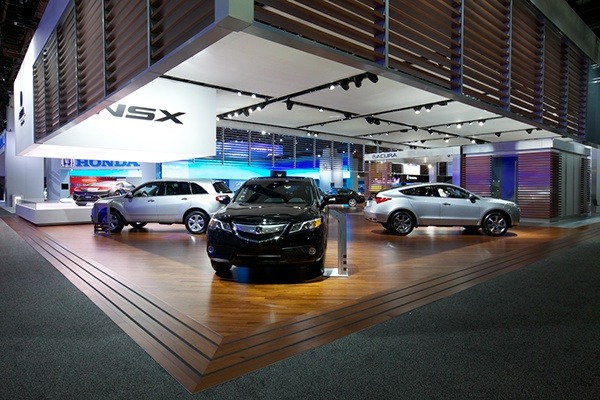 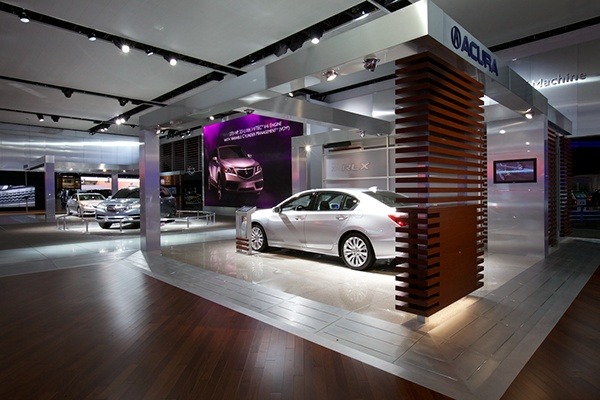 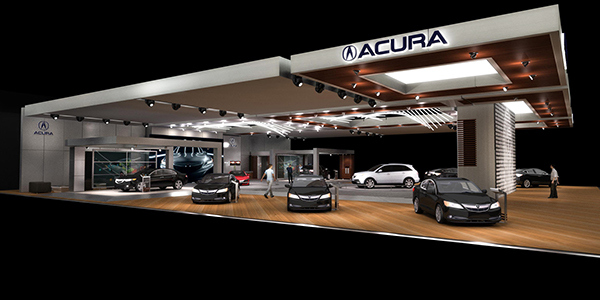 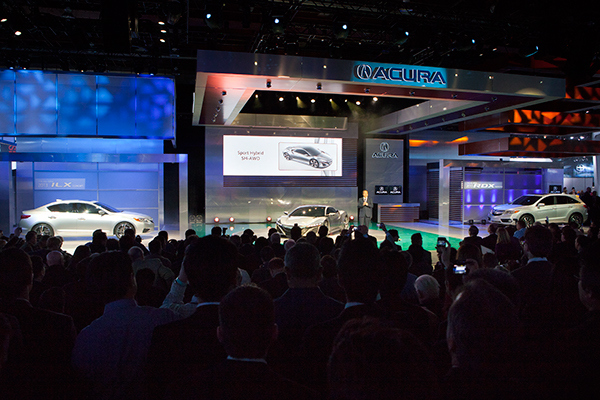 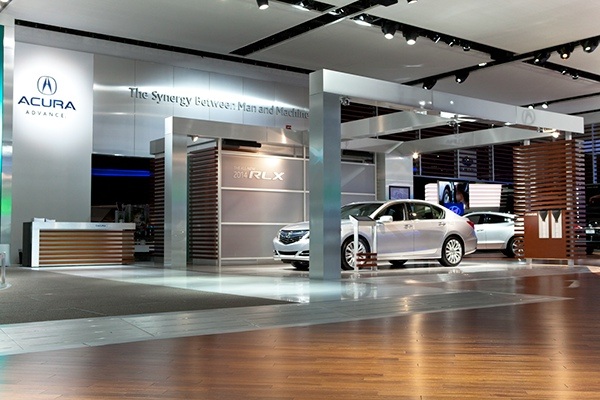 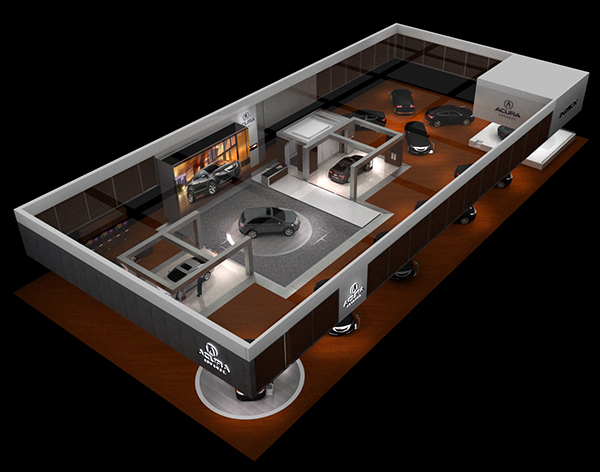 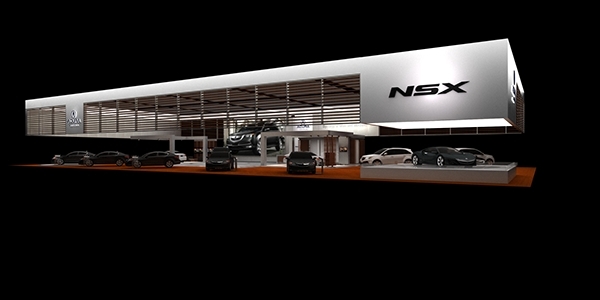 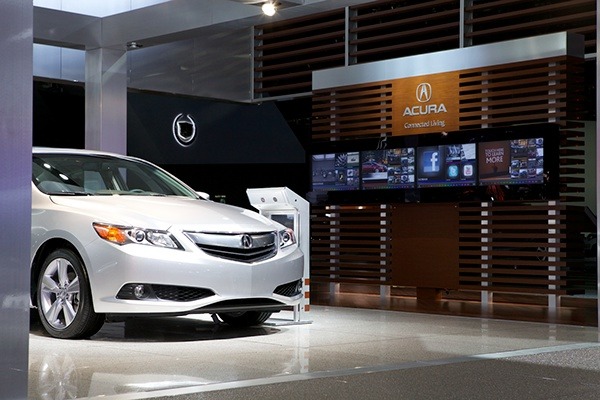 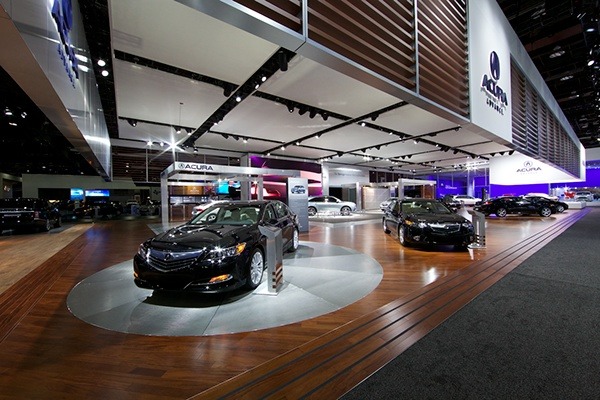 Inspired by modern DWELL home architecture, the 2013 Acura Detroit Autoshow display was designed as a modern luxury lifestyle statement of the Acura brand. 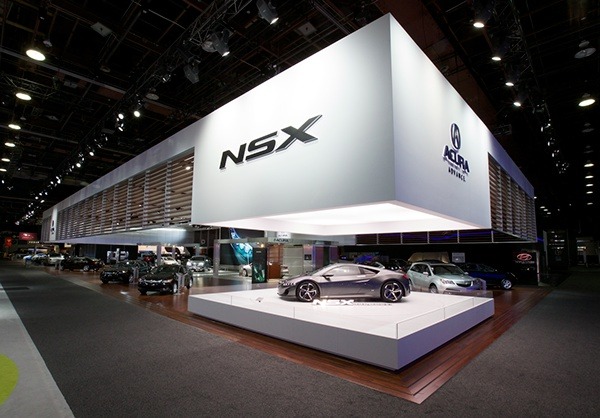 A louvered parapet architectural solution was employed to clear the floor of obstructing architecture, yet still deliver a sense of volumetric mass and environment. 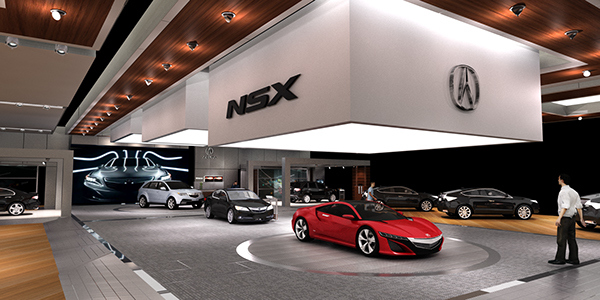 A prominent feature of the Acura Detroit exhibit is "jewel box" style corner display on the high traffic corner that houses and showcases Acura's crown jewel, the NSX supercar concept. 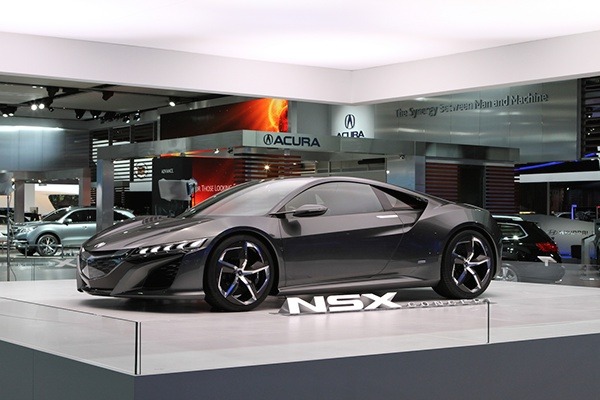 A photograhers style fisher lightbox embedded in the ceiling of the jewel box creates a perfect lighting effect across the NSX helping to accentuate the sharp bodylines of the supercar. 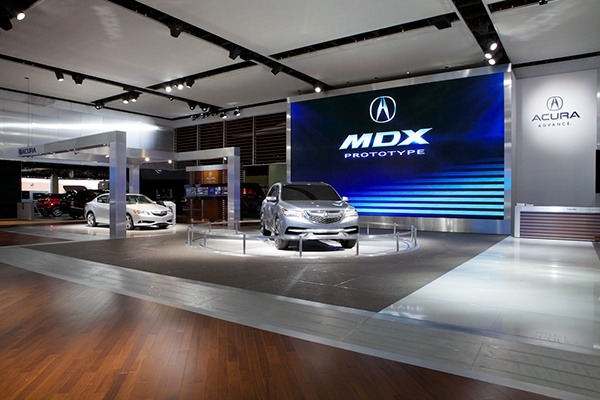 The Acura MDX concept is prominently staged in the middle of the exhibit with a large LED screen to help tell the Acura Brand / Product Story. 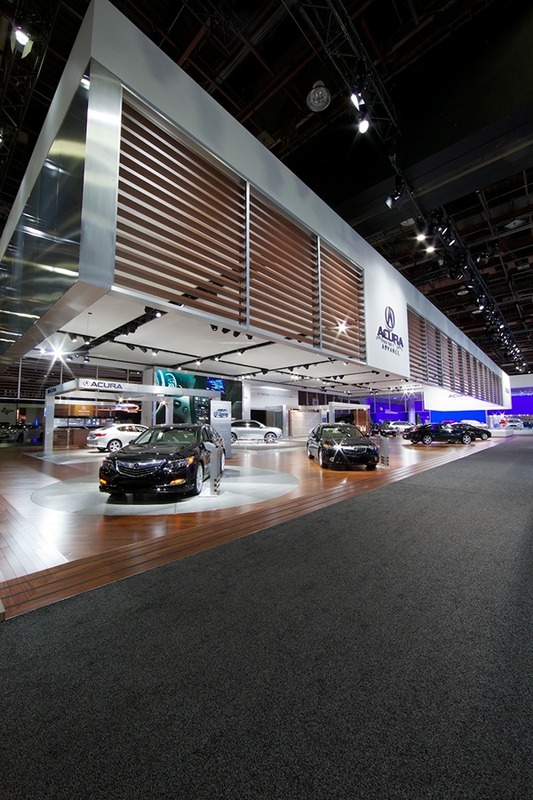 At first glance you wouldn't know it, but the entire louvered parapet system is made out of board printed faux wood aluminum sheets. 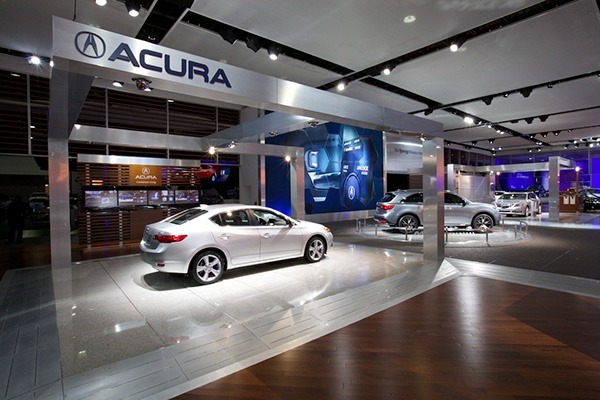 The lightweight structure helps with ceiling load limitations and is eco friendly as no trees were killed to create this element and the aluminum is recyclable. 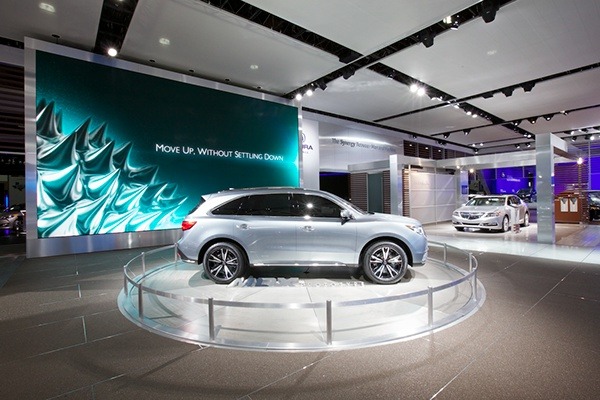 THE END RESULT: DESIGN IS ALWAYS A REMIX!